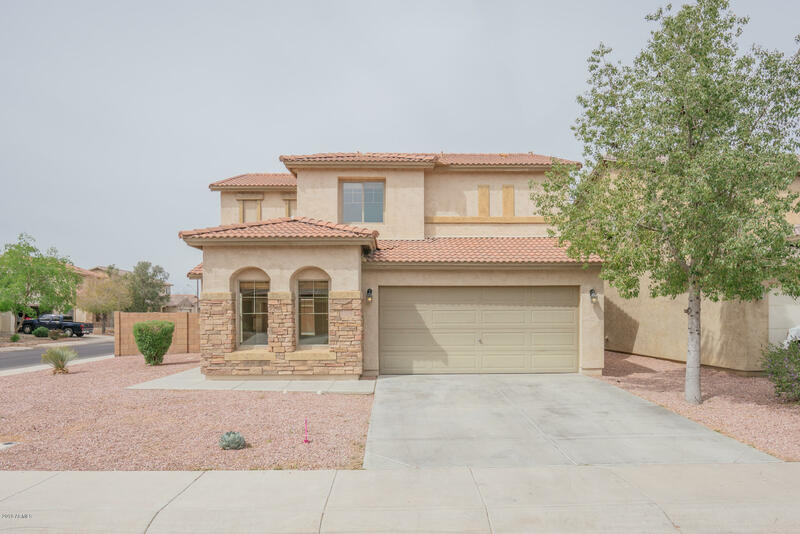 All SUNSET POINT homes currently listed for sale in Buckeye as of 04/26/2019 are shown below. You can change the search criteria at any time by pressing the 'Change Search' button below. 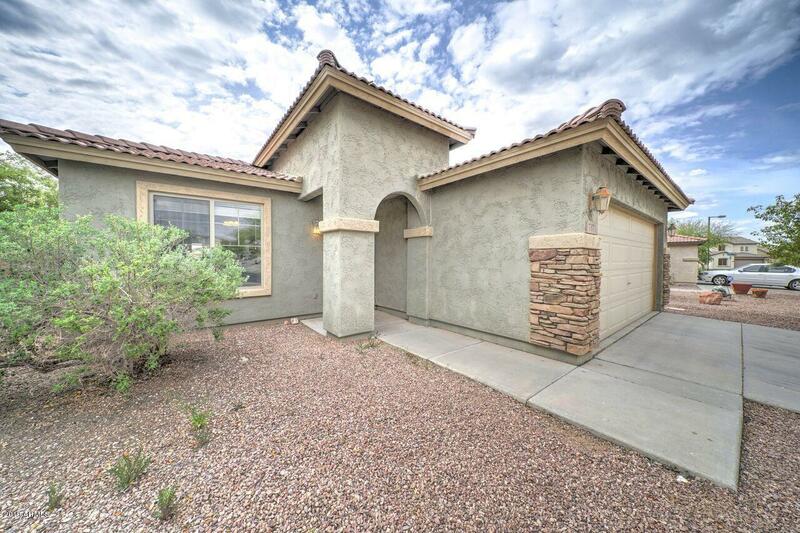 "Beautiful home with granite counters and stainless steel appliances, upgraded tile in living areas on first floor. This house Features 1 Bedroom downstairs with full bathroom, huge great room, breakfast bar, formal living room, and laundry room downstairs. Master upstairs with a full bathroom with double sinks, shower, and tub. 3 car tandem garage that can accommodate an extended vehicle or boat. The 2nd and 3rd Bedroom has a jack and Jill bathroom. New paint both inside and outside.Backyard fe"
"Here is that well-maintained original owner home that you have been searching for! Features include 4 bedrooms, a great room floor plan and a wonderful layout. You'll love the owners retreat with it's separate sitting room, walk in closet and more. The great room layout is perfect for entertaining your friends and family...tons of space and opens to the kitchen and dining area. This unique layout affords privacy to all bedrooms. Some extras includes: extensive use of tile, 4' extension on the"
"STOP THE CAR!!! This is the beauty you have been looking for in a great community. Fresh paint and carpet and ready for you to move in. When you walk in you have a separate dining/living room which then opens into the open great room floorplan all with wood floors. Tile in all the other wet areas with fresh carpet in all the bedrooms. Huge master bedroom with separate tub and shower and dual sinks. A loft/play area for the kids as well. 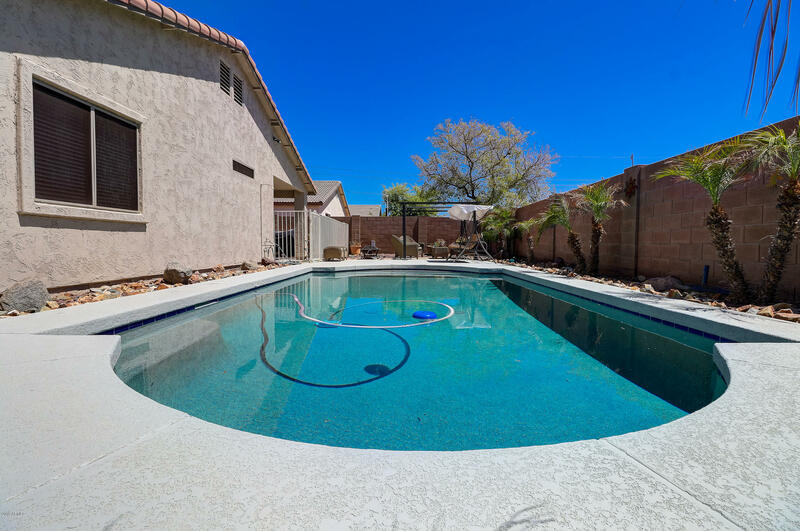 Large back yard for the kids and close to a park as "
"A Beautiful home in Buckeye's conveniently located community of Sunset Point. 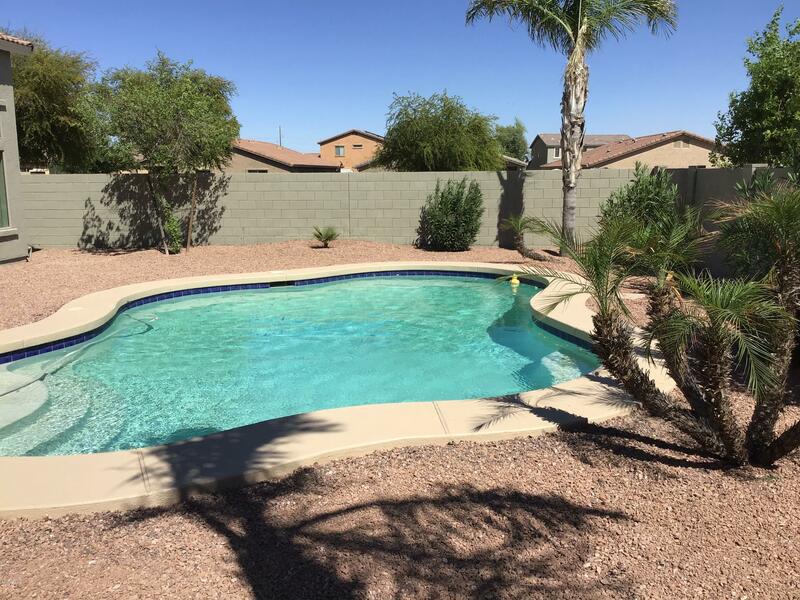 Close to schools & shopping with easy access to I-10. This fresh & clean 3 bedroom 2 bath home with NEW carpet and NEW designer Revere Pewter wall color with bright white trim accents is move in ready! The open floor plan makes it feel larger than it is. Very spacious kitchen has buffet for extra counter/cabinet space, upgraded cabinets. All appliances included!! The large master suite offers a walk in closet and pri"
"BACK ON THE MARKET! 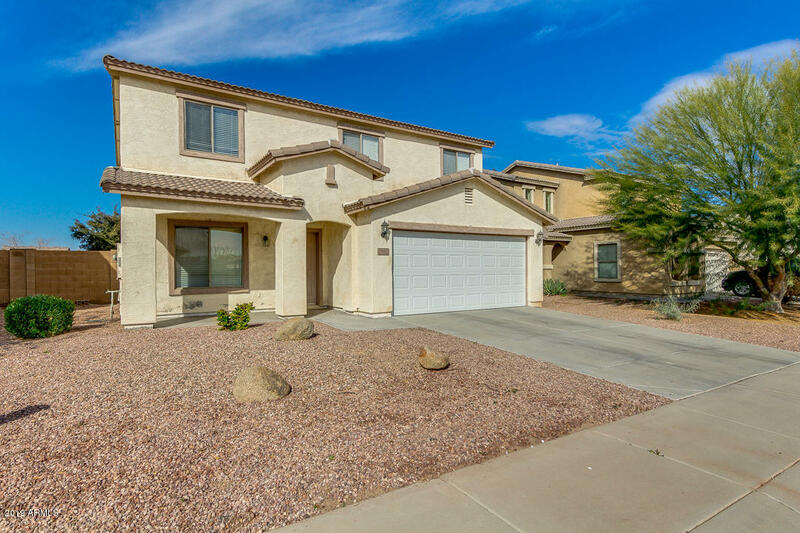 Former Model Home this popular floor plan offers 3 bedrooms and 2 full baths and lives much larger than 1274 square ft. 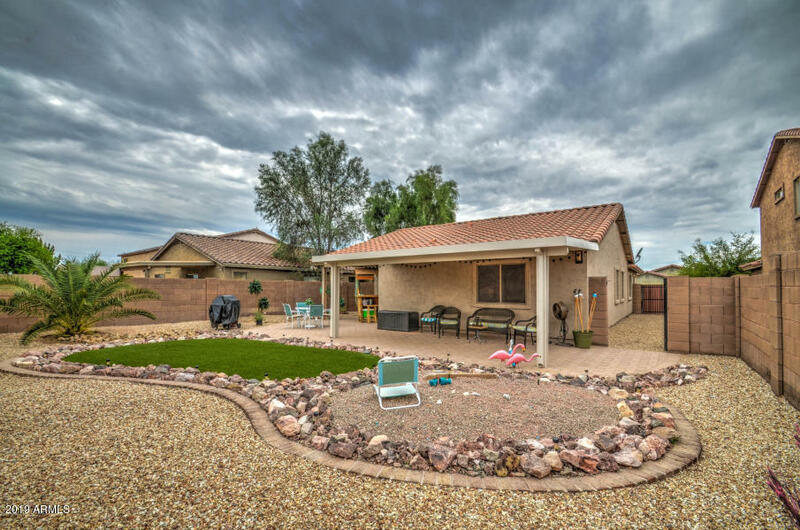 The huge covered patio allows you to enjoy Arizona weather well into the summer months. The low-maintenance professionally landscaped front and back yard features mature plants and trees, extended pavers, forever green synthetic turf and lots of shade. Inside, this well thought out floor plan wastes no space and offers a large kitchen with plenty of cabinets"